It’s that time again! 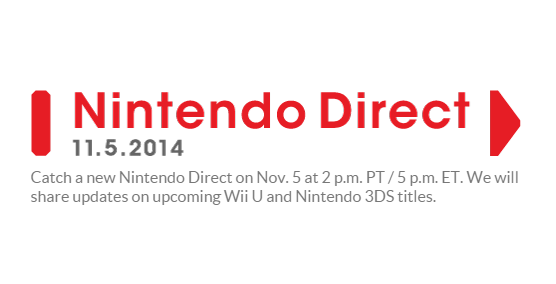 a Wii U/3DS Nintendo Direct is coming up tomorrow afternoon, and that could mean good things for Zelda fans. It has been awhile since any official Zelda news hit the web, and Hyrule Warriors has upcoming DLC with some currently unknown details. Not to mention the complete mystery that is Zelda Wii U. Check out the time details, and a bit of theorizing, after the jump! There is likely to be news on upcoming Hyrule Warriors DLC, but personally, I doubt that they will go beyond revealing the rest of the second DLC, the Twilight Princess Pack, and some of the third, the Majora’s Mask Pack. After all, the second is set for release this month. Hopefully, we will be shown some new playable characters. Of course, we should all pray for some news on Zelda Wii U, like, perhaps, an actual subtitle. Zelda Wii U is just starting to sound tiresome, and having a subtitle might let us start theorizing what the game has to offer. If not that, an antagonist would be nice, or even some new area visuals. What kind of Zelda news do you think we might get tomorrow? Are there any games in particular that you want to hear about? Leave a comment below!